Origin: Trinidad, Jamaica, Guyana, Barbados, and Java, with offices out of Singapore, since 2010. He pours out a bit more than a thimbleful into a glass, and I bring it under my nose. It’s not in the least medicinal, but complex and inviting. I sip. My word. It’s like tasting in Technicolor — it’s full, complex, and not too flowery, but also lacking any trace of unpleasant heaviness. It’s unlike any white rum I’ve tasted. Remsberg was grinning at my inability to hide my shock. “So you can see why Prohibition-starved Americans flooding El Floridita would have said, “This is good!” There was something about those early Cuban cocktail rums. They were just better rums than the world had seen. Nobody is producing a white rum today as pleasing as this. Wayne Curtis wrote this in his excellent book And a Bottle of Rum: A History of the New World in Ten Cocktails, describing a sample of Bacardi silver rum from 1925, back when it was made in Cuba. Cuban Bacardi was what reintroduced America to rum in the 20th Century, and apparently it used to be amazing. And Curtis is no debutante… if he says it’s great, it’s great. This quote also highlights one of the many differences between international beverage entrepreneurs and me. Both John Pellaton and I read this book, and both from this passage realized that we’ve never tasted a truly dynamic clear rum. When I read it, I got a little sad, and then went on with my day. When Pellaton read it, he decided to invent one. Pellaton is the former president of Hine Cognac, and along with “master blender” Arnaud de Trabuc and mixologist Jim Meehan of Please Dont Tell (PDT) New York, set about to create an excellent white rum. After some 18 months of tinkering, it ended up as a blend of 21 different rums from five countries. The different countries bit is anomalous in the mildly jingoistic rum world, where Jamaican rum and Martinique rhum are barely considered, by Jamaicans and Martinicans anyway, to be the same spirit. But both Trabuc and Pellaton came from Cognac where blending is the norm, so they set out to create an all-star. Each of the component rums are aged between 3 and 12 years, charcoal filtered to remove the color, and blended. According to Banks’ own promotional materials, it starts with the light black-strap molassas of Trinidad rum (over 50%), then added heavy Jamaican, earthy Guyanese, aged and “flavorful” Barbados, and spicy arrack Java. Some are pot-distilled, some column. There is a wonderful bucking of tradition in the assembly of Banks, and Pellaton & Co. seem to understand that to create something different, you have to do things differently. Oh yes, the name. The finished product is named after the famed explorer Joseph Banks (pictured, right) for some completely artificial reason I couldn’t care less about. Overwrought marketing aside, Banks is a phenomenal rum. It is floral and complex, and has just enough vegetal arrack notes to add flavor without controlling it. The hint of arrack is what sells it for me. Too much (as in actual Batavia Arrack or Rhum Agricole) overpowers everything and is unpleasant, but just a hint adds an entirely new flavor dimension to the spirit. 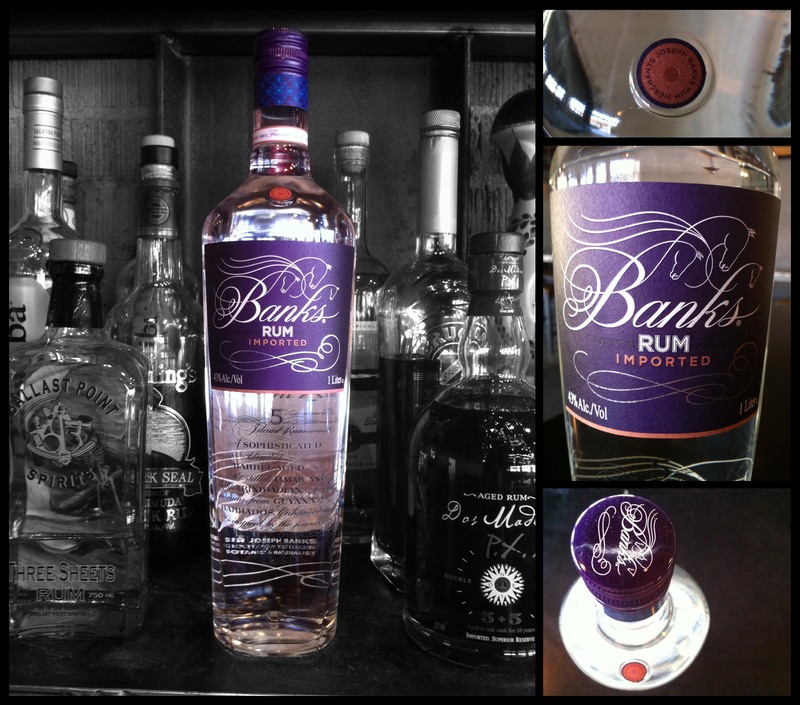 I would feel comfortable using Banks whenever any clear rum is called for. It won mojito awards, it makes the best daiquiri I’ve ever tasted, and won Best New Spirit at Tales of the Cocktail 2011. It is, simply, an incredible product. At URBN, we make a Beached Bru with it. My only problem is that there are so many things I love about the rum, it’s hard to mix because the mixers divert from the rum’s complexity rather than add to it. Which is, as they say, one of them good problems. Pellaton told me that he gave a sample to Mr. Remsberg from the above quote who owned the bottle of 1925 Bacardi. Remsberg said that Banks, while not as good as the ancient Bacardi, was the closest thing he’d had to it in a modern product. Cuban Bacardi bottles run £2000 where you can find them, while Banks is about $28. Which is plenty good enough for me. Full list of Banks 5-Island Rum cocktails here. Note: Curtis himself has written about Banks here. Trivia1! : Guyana, one of the “five islands,” is not an island. It’s a country hanging out on the northern coast of South America. Also, Batavia Arrack is a rice and sugar-cane spirit from Indonesia, and is not rum. But who cares? Banks 4-Island and 1-Country Mostly-Rum-but-some-Proto-Rum doesn’t really have the same ring to it. Trivia2! 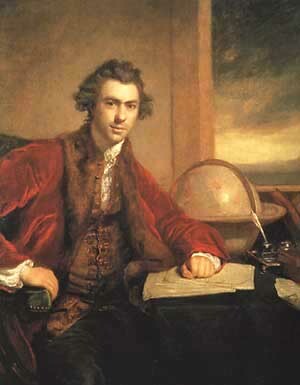 : Joseph Banks, unsurprisingly, has no relation with Joseph A. Banks, the upper-middle-class haberdashery. You can if you want to,that’s your choice. Back when you wrote this post (2012), I couldn’t have agreed with you more. I absolutely loved this stuff. I have no idea if it’s the new ownership or what, but when I tasted it recently, it was absolutely horrible… all kinds of distilling flaws and fraction management problems. Maybe someone in quality control is just dropping the ball, but, and I hate to say it, it more smacks of big-liquor cost cutting tactics.